Call 314-656-8347 to schedule your first appointment. When you're looking for an affordable hearing center in Florissant, MO, visit Miracle-Ear®. We're an independently owned and operated center, and we have experienced specialists who can help find the right hearing aid for your needs. When you come to us, you'll discover and experience the Miracle-Ear advantage. Our hearing care specialists strive to improve customers' quality of life with industry-leading innovations like GENIUS™ Technology. We want you to have the best possible experience from your hearing aids, so we provide a variety of high-quality hearing services from diagnosis to after-care. The digital technology we offer can help reduce whistling sounds known as feedback, decrease the interference from wind noise when you are outdoors, and allow you to control your hearing aid with your smartphone. Our digital products can also provide wireless connectivity to hear phone calls, TV, and music with greater clarity. We're so confident in the quality of our products and services that we offer a 30-day risk-free trial* on our hearing aids. Almost every device comes with a three-year warranty**. If you suffer from hearing loss, visit Miracle-Ear in Florissant. We offer a free hearing test† to help you pinpoint your hearing needs. With over 1300 locations nationwide, we've been providing hearing solutions to customers for over 70 years. Our team is ready to serve you and help you reconnect with voices and the sounds that make your life richer. We value our customers and will work hard to provide you with thorough care. Don't hesitate to call us today to learn more about what we offer. Ben has been married for over 30 years and has three wonderful children. He has been in the St. Louis area for his entire life and loves it. He spent many years in the corporate realm working with large companies such as Boeing and Microsoft but eventually became "burnt out" and wanted to make more of a direct impact in the lives of those he served. Miracle-Ear was a great platform for Ben to be able to work more personally with his patients. "I am focused on improving the lives of my patients, and try every minute of every day to help them in any way that I can. There is nothing more fulfilling than to see the difference that better hearing can make. Seeing the positive changes in their attitude and outlook, their activity level, and their improved relationships with the people that are important to my patients brings me incredible satisfaction." Dennis loves the St. Louis area and lives locally with his wife Julie and son Jack. As a Marine veteran, he has a special place in his heart for his fellow veterans. 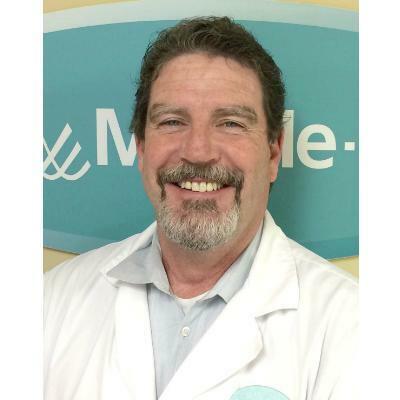 He has been in the healthcare industry for over 10 years and is a nationally recognized speaker. 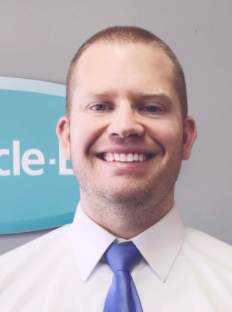 His care for patients is what motivated him to take on the position of overseeing our in-home visit program bringing hearing healthcare to patients who are home bound but still need assistance connecting through their sense of hearing with those around them. * If you are not completely satisfied, the aids may be returned for a full refund within 30 days of the completion of fitting, in satisfactory condition, as prescribed by state law. See store for details. † Hearing test is always free. Not a medical exam. Audiometric test to determine proper amplification needs only.